Ewaste may not sound a serious hazard for human race. However, if neglected for long, the issue might turn explosive enough to destruct the entire planet. Ewaste comprises of a number of electronic and IT products we buy, use, and then dump into garbage bins. Some of the best examples of the same include batteries, smartphones, PCs, television sets, tablets etc. Improper dumping of these products poses serious damage to the environment and entire human race. Recycling includes certain crucial terms such as reduce, reuse, and recycle. Reducing waste that otherwise gets dumped into landfills or recycling centers is possible by practicing intentional decrease in personal purchases and consumption. It is also crucial to consider organic waste composting and strictly avoiding usage of disposable items such as plastic bags and polystyrene carriers. There are a number of benefits you can enjoy by managing ewaste. One of the best ways of doing this is to recycle. The process of recycling will steeply minimize the amount of waste that gets deposited into landfills. The toxic chemicals contaminate water supplies in towns and cities. Burning of solid waste can increase the amount of carbon dioxide and other greenhouse gas emissions. Recycling will keep the environment clean. 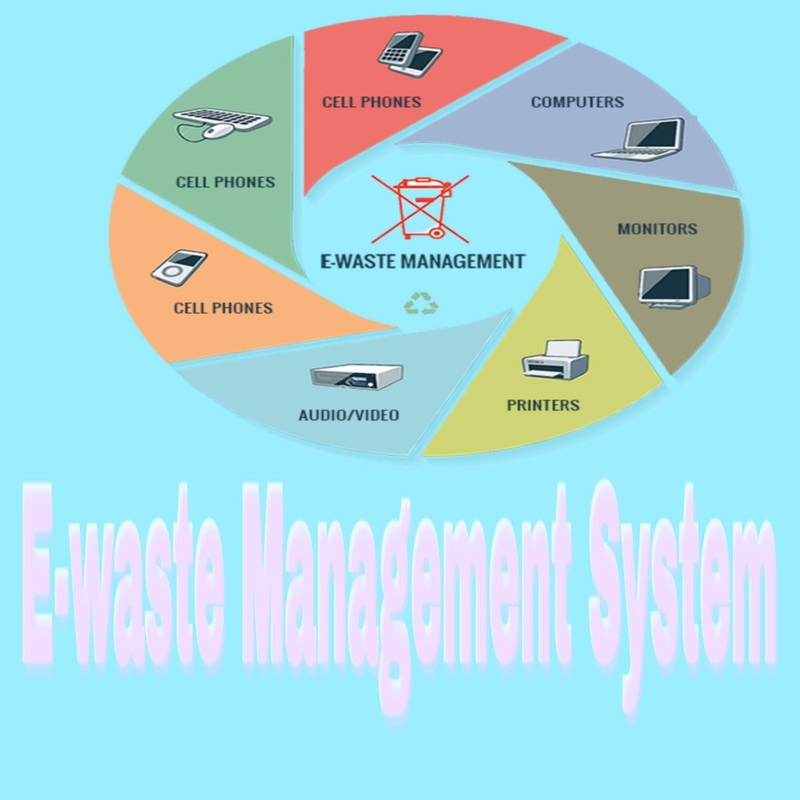 If you are looking forward to make some serious money, ewaste management is a viable and profitable option. It is easy and affordable to start a home-based ewaste management company. All you need is to plan the type of material (paper, cell phone, or metals) you wish to collect. Additionally, you need to plan storage and then get in touch with recycling plant for pricing. Now you are all set to collect recyclables and resell these to a recycling facility. Most cell phone and computer manufacturers such as Dell and Apple understand the need for a steady supply of raw materials. They believe in buy-back programs to recycle materials from used products. This is very helpful in conserving restricted resources. Most of the natural resources are non-renewable in nature. E waste recycling will help separating valuable components. This facilitates production of new items with use of similar components. The process reduces pollution, saves resources and energy. E wastes comprises of a huge amount of toxic chemicals. These pose serious danger for the health of human beings and environment. People with homes and offices near electronic wastes are constantly at risk of suffering from some serious ailments. They breathe toxic chemicals present in these materials. E-wastes can produce serious contamination to ground resources if allowed to remain on the land for a long time. Recycling of e waste matters will minimize pollution of soil, water and air. Electronic waste recycling will reduce space needed for landfills. This means that these areas can be used for other productive purposes such as housing or agriculture. Recycling will help create several employment opportunities. With a number of e waste recycling companies being established and the existing agencies hiring more number of employees for undertaking processes, you can save nature and support the economy. Exposure to harmful elements such as cadmium, nickel, lithium, glass, mercury and many other components of electronic materials may lead to long-term damage to ones health and the environment. In some cases, one may also have to deal with the cancerous developments. Apart from humans, domesticated animals and pets may also bear the brunt of effects of these elements. They may develop cancers and other serious conditions. Recycling will help you to prevent these issues and protect health and ecosystem.